Henry Harland “Hank” Bradley, Jr., was born in Oakland, California, on April 6, 1940. His father, Hank Sr. (1906-1990), was born in Georgetown, British Guinea, of a long-standing mining family. Hank Sr.’s father operated a gold mine there, moved to California then to Alaska where he worked for the Treadwell mine. In 1917, when the mine caved in, the family moved to Juneau, Alaska, then to Berkeley, California, where Hank Sr. was raised and attended school. He attended the University of California and worked as a mining engineer. In 1945 he contracted tuberculosis and the family moved in with his in-laws where Hank Jr. was raised. 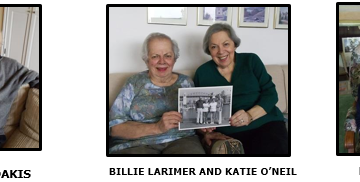 Hank’s mother, Elizabeth “Betty” (1916-1989), was the daughter of David Atkins, also a mining engineer, who immigrated from Great Britain in about 1897. He developed mines as an assayer and chemist and also operated Atkins-Kroll Company, an import/export company in San Francisco, California. Atkins then purchased a farm on the California coast between Davenport and Pescadero where Elizabeth and her sisters spent their summers. Elizabeth was a city girl with a sense of humor who spent a couple of weeks in bed with a case of poison oak. She was showing off for a friend visiting from San Francisco – rubbed her face with it to show how she wouldn’t catch it. On another occasion she was sent home from school for chewing garlic. Elizabeth’s musical interests continued well into her later years. Even in the late stages of Alzheimer’s, she would respond to musical gestures performed by Hank and his brother, David. 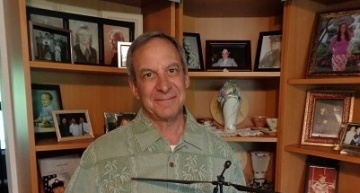 David, a retired civil engineer, lives in Arcata, California, and Hank’s sister, Mary Elizabeth, died of cancer in 2007. 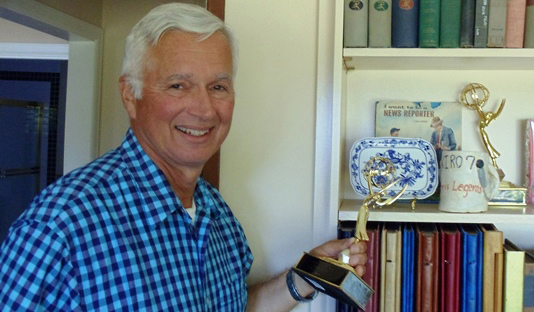 After his military service, Hank graduated from Fresno State College in 1967 with studies in civil engineering. In 1968 and 1969 he worked on the BART (Bay Area Rapid Transit) project in San Francisco. 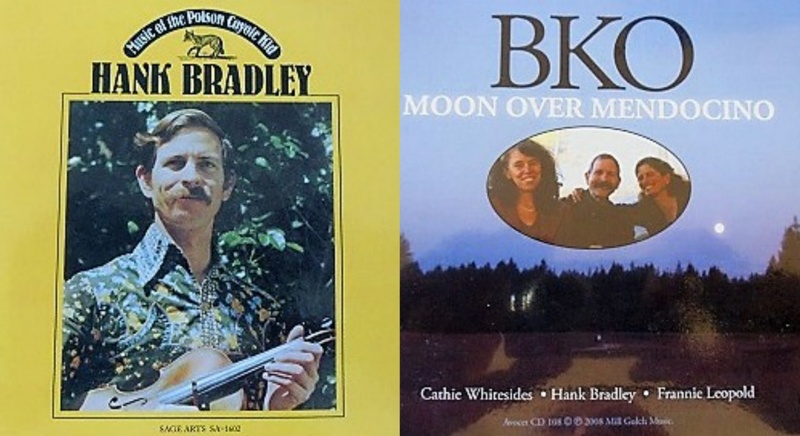 Music was a part of the Bradley family life from as early as Hank can remember. His father had a large collection of records. His mother played the piano and encouraged anything musical and Hank had a very good ear for music. He first heard fiddle tunes on the radio on the farm. His piano lessons began at age five and he played the violin in junior high school. He really wanted to play the trumpet as it was louder and put the violin under his bed. After high school he knew where the notes were on the violin but was not proficient in playing it. In 1959 he became interested in Dixieland music, got a banjo and taught himself how to play. In Monterey, California, he was inspired by the Manos Hatzidakis music from the movie Never on Sunday and even tried to play the tune on his banjo. Hank resumed his fiddle playing in 1961, copying recordings by ear. Cathie Whitesides (nee Bennion) was born on June 8, 1942, in Salt Lake City, Utah. Her father, Thomas Addison Bennion (1918-2002) was from a family of Welsh pioneers who came across the plains to Utah. Her maternal grandfather was a talented painter from England. Cathie’s mother, Norma (nee Young) (1921-2003) was raised in Ogden, Utah, played the violin from the time she was a young girl and played in the precursor of the Utah Symphony. The Bennion home was full of all kinds of music and her mother even played in a swing combo for a while. Her father loved to dance and there were several square dancers and callers in his family. From the age of five, Cathie and her brother John would sit together on the piano bench and plunk out tunes. She attended elementary school in Salt Lake City and played in the junior high school orchestra. Upon graduation from high school, Cathie “found the door” and was soon her way to a musical career and a marriage to Jim Whitesides. He gave her his grandmother’s concertina which Cathie taught herself to play. She was influenced by her mother’s classical swing and gypsy violin music. She attended junior college and was part of a musical commune near Costa Mesa, California. She remembers listening to Russ Thomas, a guitar maker, playing Italian and Russian folk music on the mandolin around a back-yard campfire when someone handed her a guitar. Once she figured out how to play the guitar it was fun. 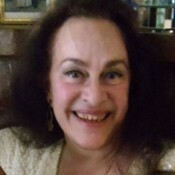 Cathie was an English major at California State University in Hayward and obtained her teaching credential. She also made leather handbags for about five years and, while selling them at a renaissance faire, heard the fiddling of Scottish and Irish music and decided that was what she really wanted to do. Beginning with the classic folk tune “Oh Suzanna,” she was soon teaching and playing violin. Sweet’s Mill, the location of an old saw mill outside of Fresno, California, is an iconic gathering place for musicians interested in traditional music of all sorts including American family songs, bluegrass and ethnic music from around the world. It was at Sweet’s Mill that Hank and Cathie first met around 1969. At the time both had other romantic interests outside of their mutual love of music. Cathie had a small band called Hatsegana in San Francisco and encountered a Nada Lewis, an accordion player who knew some Greek tunes. This piqued her interest which increased as she and Hank came to know each other better. It was a call from Sandy Tuell in 1970 that caused Hank to leave his surveying job. 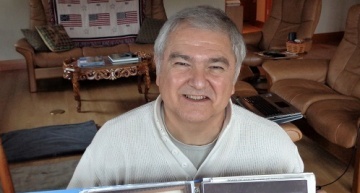 Sandy was connected with Koleda, a Seattle music and dance group that was looking for an American fiddle player to join its tour of Yugoslavia and Bulgaria. Hank quit his job the next day. 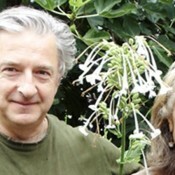 Sandy Tuell, who became Hank’s wife, was also instrumental in developing Hank’s Greek music abilities. After a brief work assignment in Gardner, near Kansas City, Kansas, where Sandy taught dancing and Hank began playing Greek rebetiko (popular urban music of Greece), the couple returned to Seattle in 1972. Around that time, they were frequenting Greek clubs in Seattle including the Greek Village and Tops 24. He and Sandy were playing in a string band while Hank’s engineering kept him very busy at a job in Kirkland, Washington. Sandy was increasingly involved with the band and the marriage ultimately ended. During this time Cathie was playing contradance music and touring quite a bit. This activity occasionally brought her to Seattle where she would meet Sandy and Hank among other friends. Then, in 1989 Hank and Cathie, both single at the time, met at the ranch during a music party and memorial for Hank’s mother. That was when Hank said, “let me show you the orchard!” They began playing music together and developed a duo that worked well. They finally married in 1993. Cathie has one son. Hank has three children: an Air Force sergeant; a daughter who is a nurse in Edmonds, Washington; a son who is a bandmaster on large cruise ships and also fights forest fires in eastern Washington. 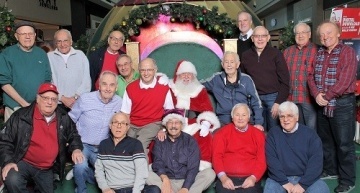 Between them, Cathie and Hank have five grandchildren. 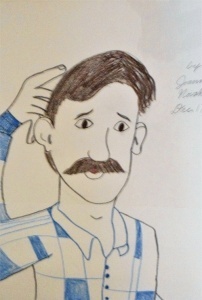 In 1986 Hank was at Seattle’s annual Northwest Folklife festival watching a video of the Dora Stratou dancers where he met Jim (Dimitri) Hages (Hatzigeorgiou). Hages asked Hank, “You like that stuff? I’ll play the mandolin and you join me.” The two became friends and began playing at Hank’s home on Monday nights. Hages’ repertoire of old Greek music from the 1950s was a significant addition to Hank’s experience. Hages was adept at singing and playing at the same time but reluctant to perform publicly. It was also through Hages that Hank met John (Yannis) Novakis, a Greek vocalist and musician, who would join in the Monday night sessions. Hank’s desire to join with Greek musicians initially met with some resistance until his abilities were recognized. 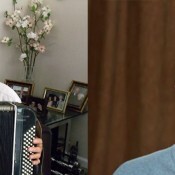 From then on, he became the “spare part” Greek musician when a Greek was not available. Cathie’s entry into the Greek music scene was a bit more challenging. Almost all Greek women musicians are vocalists. Thus, as a non-Greek female instrumentalist, she encountered some opposition. She remembers being asked “Why do you want to play?” several times at one of their appearances. 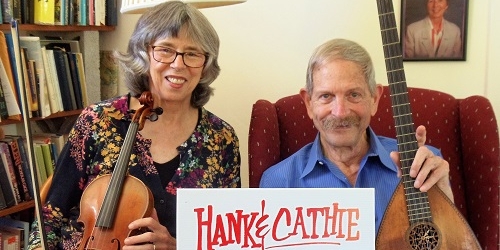 When Hank injured his arm while working on the family farm and was unable to play for several months, Cathie became the “spare part” for a group. After another performance, as they were comparing their pay, Cathie’s was considerably less than Hank’s. They watched this situation very carefully at future events. Over time Hank and Cathie joined with other Greek musicians including Taki Dotis (see BOUZOUKI AT ITS BEST), John Tziotis (see SHOWTIME), John Xydis (see WITH A SONG FROM HIS HEART) and Christos Govetas (see THEIR DREAMS FULFILLED). 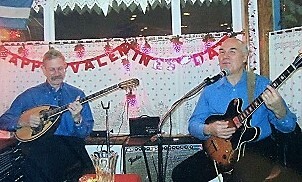 In December of 2005 Hank and Cathie were prohibited from playing at Georgia’s Greek Restaurant in Seattle by the Washington State Liquor Board. The liquor license at Georgia’s did not allow “added activities” (live music and dancing). Owner Laki Kazakos found the restriction absurd and appealed the decision claiming that ‘listening to music, dancing and eating the food with friends and children is a family activity.’ With Greek persistence, Kazakos convinced the board to change the rule, maintaining that his small Greek restaurant was a family celebration and the bi-weekly music nights were reinstated. The benefit for Georgia’s ultimately extended to those venues who sought musical entertainment for their customers. Their immersion into Greek culture has continued to this day. Hank and Cathie have traveled to the island of Hydra where his old bouzouki was made. Cathie has attended two music camps in Pilio, Greece, where Greek classes, traditional music and even puppeteering are taught. She leaves each time in a “happy daze” from the experiences. After playing Greek music for over a decade, the couple decided they should learn a bit of the language. 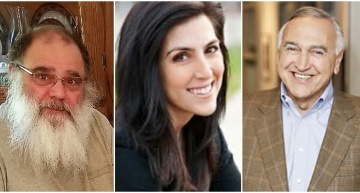 They connected with Heracles Panagiotides through the University of Washington ACCESS program. For three years they attended his classes and regularly rode the bus to his home for parties, entertainment and home-cooked meals. It was like a “honeymoon” for them. 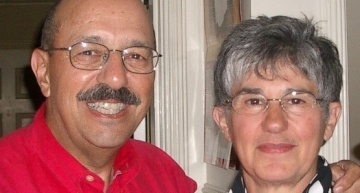 With over 100 years of playing Greek music between the two of them, Hank and Cathie have contributed extensively to the culture in Washington’s Greek community. 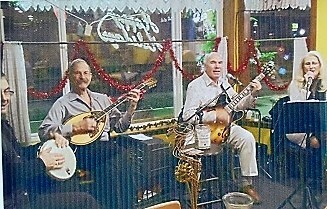 They have played at almost every Greek restaurant and social event in Washington and can be seen at several Greek restaurants around Seattle. 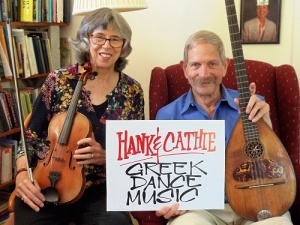 And, as contemporary Greek music is increasingly similar to other music around the world, Hank and Cathie “like the old stuff better.” More about their work can be found at http://www.hankandcathie.com/ and their music can be heard on several compact disc recordings. The Greek community continues to be grateful for their contributions. 1998 met Christos Govetas, began occasional rebetika with him and Ruth Hunter and others as ‘Pangeo’- At recommendation of Yiannis Tziotis, began regular evenings at Georgia’s Greek Restaurant with Cathie and Lakis Kazakos at Georgia’s — no one has so generously supported regular live music as he has, and still continues to do in 2017. He also faced down the Washington State Liquor Board, opening up live music in many Seattle restaurants, where previously the Board had not permitted live music to coexist with all-age families. 2000 Occasional playing at Nikos on Lake City Way, and Yianni’s Lakeside on Greenwood. At Georgia’s, Yiannis Novakis joins the band. 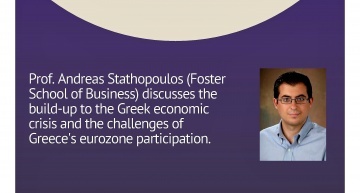 Also began occasionally with Yiannis Novakis and Yiannis Hloptsidis. 2002 By invitation of Ed Emory, ﬁrst Went to Greece to attend the Hydra Rebetika gathering, and gave a talk (in English) about Dino Pappas and his collection of Greek 78s. Met violinist Kyriakos Gouventas. Also began occasional work at Porta restaurant on Eastlake. ln subsequent years, returned to Greece for the Hydra gathering twice more, and also in 2009 to the Music Village at Pilio, where studied with Dimitris Mystakidis on bouzouki. 2005 Began work in bands including Fani Koltsidas as vocalist. 2006 Began three years of studying modem Greek language at University of Washington with professor Hercules Panagiotides, in that study constructing about 4000 vocabulary ﬂash cards with WORD. 2015 With Yiannis Novakis and Fani Koltsidas, began regular work at the Greek House in Burien, end at Kafe Neo.